The AMS Physiotherapy and Rehabilitation Centres provide complete physiotherapy services at both clinics in Montreal and Dorval. We have several physiotherapists on staff (see below) as well as other rehabilitation healthcare providers. The AMS Medical & Rehabilitation Centre was founded in 2008 by a group of health professionals including physiotherapist, Richard Bouzaglou. Richard Bouzaglou has developed a wide range of resourceful approaches to treatment through his studies in Sports Medicine at Montreal’s Concordia University and Physiotherapy at McGill University. Richard is well known in Montreal as the guiding force in creating an innovative, interdisciplinary rehabilitation department at one of Quebec’s largest private rehabilitation centers. He has brought the same energy, innovation and vision to the AMS Medical & Rehabilitation Centre. In Sports Medicine, Richard has worked with high caliber athletes during his tenure as head physiotherapist of the ice hockey, football & soccer teams at CEGEP Saint Laurent. To further compliment his extensive athletic experience, Richard turned to McGill University’s prestigious physiotherapy department where he graduated in 1999. A strong believer in continuing education, Richard has taken, and is currently taking, advanced educational programs in Osteopathy, Manual Therapy, Spinal Evaluation & Treatment, as well as specialized postural correction seminars including Mechanical Diagnosis & Therapy (McKenzie Method) and the Mulligan Concept. Richard has also served as the Director of the Physiotherapy, Massage Therapy and Osteopathy departments at one of North America’s largest private rehabilitation centers. Also a strong believer in teaching as a way of staying current with the most advanced techniques, Richard has been the clinical residency director in charge of offering residencies to the physiotherapy students from the University of Montreal, McGill University and CEGEP Marie-Victorin where he has mentored many future therapists. 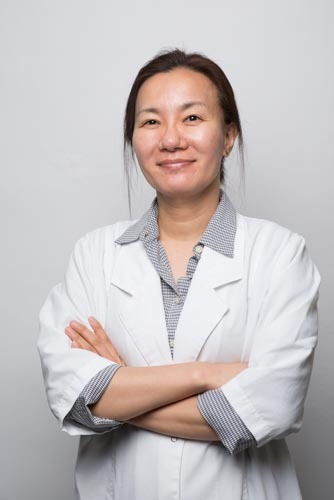 Heejung graduated in physiotherapy from Montreal’s McGill University in 2008 and works closely with her patients to develop effective treatment plans that are specific to their needs and lifestyles. She is dedicated in maintaining the highest standards of care for her patients; she continues to pursue a variety of educational opportunities to further her clinical knowledge. She has received training in McKenzie treatment technique for the cervical, thoracic & lumbar spine as well as on the Mulligan Concept. Heejung has treated a wide range of orthopaedic conditions. Her treatment involves using a combination of education, specific strength training and core conditioning to restore function and prevent injury re-occurrence. Korina received her master’s degree in physical therapy from the University of Montreal in 2014. Korina had several experiences of internships in various hospitals in Montreal. 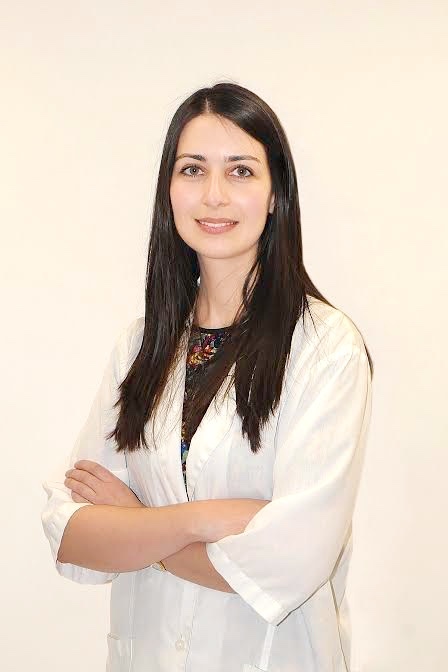 Passionate and with great concern for the patient, Korina uses her analytical mind to understand the pathology and implement the optimal treatment for each patient. Korina continues to pursue advanced training in order to provide the highest quality of service and treatment. Korina has completed formal training in the McKenzie Method for the lumbar spine. She is particularly interested to continuing her training in the McKenzie method and the Mulligan Concept. Houssine always had a passion to study and work in the medical field. In 2009 he attended The College of North Atlantic in the Medical Imaging & Radiology specialty in Qatar. Houssine wanted a more hands-on approach to helping patients so he decided to study physiotherapy. He graduated in physiotherapy from the University of Tunisia in 2013. His yearning for learning more tools to help patients brought him to study full time for two years at the IEOQ College of osteopathy in Montreal where he mastered the musculoskeletal and visceral spheres in osteopathy. 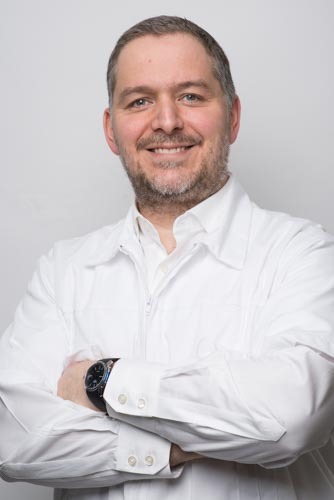 Ever since obtaining his equivalency In Quebec to work as a licensed rehabilitation therapist in physiotherapy, Houssine has been working with orthopedic type patients and the sports medicine community. Houssine’s thesis was on the application of the Mézières Approach on athletes suffering from Low Back Pain. Houssine has joined the AMS team in early 2018. Houssine’s continuing education plan is to master the McKenzie Method for the spine and extremities. He works with a wide variety of patients, many with various musculoskeletal disorders, sport related disorders and spinal issues. He uses a unique osteopathic and physiotherapy approach to treat his patients. He is currently a fully licensed rehabilitation therapist in Quebec and is member of the Ordre de la physiothérapie du Quebec. Tamara Fram holds a Baccalaureate in Physiotherapy from Saint-Joseph University in Lebanon since 2002. She worked in a rehabilitation center and then in a medical and sports center in Lebanon from 2003 to 2010. In 2016, she followed the physiotherapy qualification program at the Université de Montréal to complete the equivalency courses required by the Ordre de la Physiothérapie du Québec. She has followed several training courses in the field of orthopedic and musculoskeletal rehabilitation, rehabilitation in geriatrics (neurology and musculoskeletal) and sports rehabilitation. Tamara became a member of the AMS team in early 2018. Clinical rehabilitation courses and many more. Moshe works with a wide variety of patients, many with various musculoskeletal disorders, sport related disorders and spinal issues. Moshe Immigrated with his wife and two kids to Montreal, Canada in 2013 and since became a Provisionally Licensed physiotherapist in Ontario. 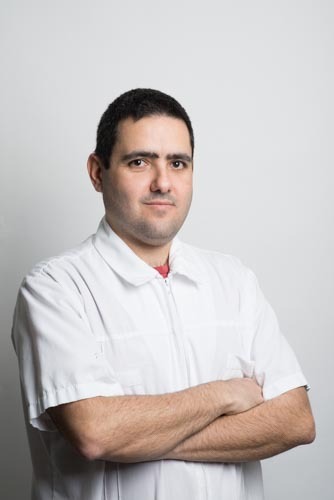 He is currently a fully licensed physiotherapist in Quebec and is member of the Ordre de la physiothérapie du Quebec. Arielle completed her Master’s degree in Physiotherapy from McGill University and a bachelors of Exercise science at Concordia University. She is a licensed member of the Ordre professionnel de physiothérapie du Québec (OPPQ). Arielle has worked with diverse clienteles including pediatrics, athletes and geriatrics and has experience in treating numerous orthopeadic and neurological conditions. 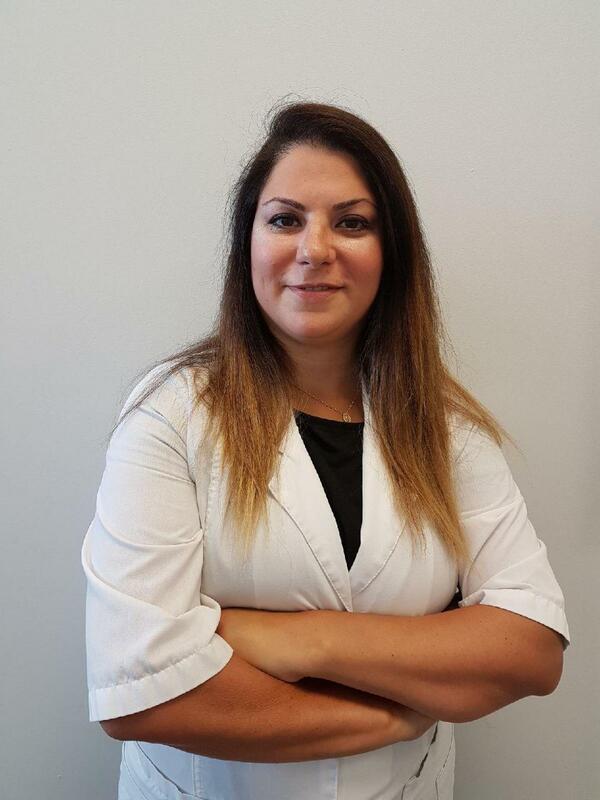 She has obtained her CPA Orthopaedic Level 1 clinical integration for advanced orthopedic manual and manipulative physiotherapy and is currently completing a microprogram specializing in pelvic floor rehabilitation at the University of Montreal. Arielle is passionate about health and wellness and is dedicated in furthering her education in order to provide the best care for her patients. 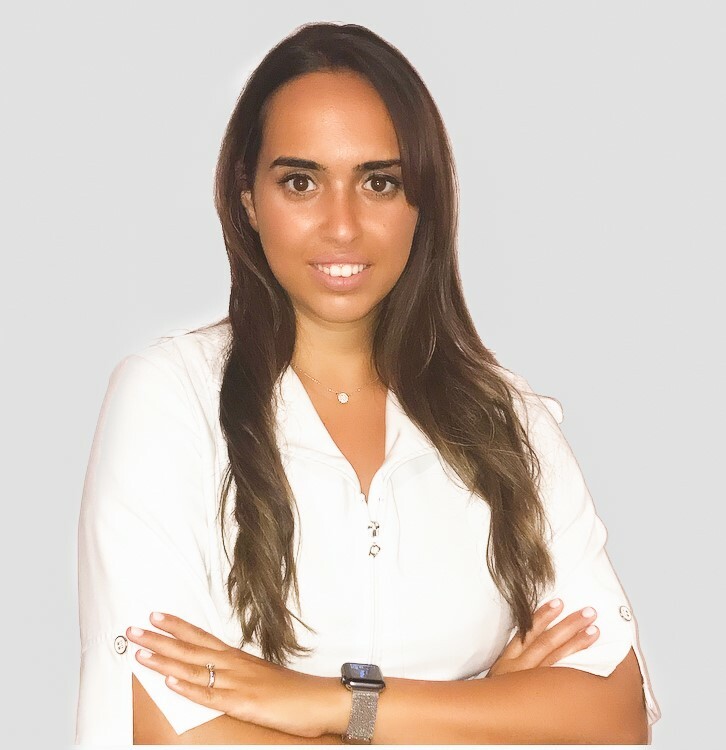 Olga is a Portuguese physiotherapist that graduated in 2011 with a Bachelor’s degree in Physiotherapy from a renowned Portuguese school (ESTSP – Escola Superior Tecnologias da Saúde do Porto), where she had 4 internships in major hospitals and rehab units. After graduating, Olga decided to challenge herself and embarked on a journey to work as a Massage Therapist on cruise ships for a major international provider of Health, Wellness and Fitness services at sea. Here, she not only developed her manual therapy and soft tissue release techniques through continuous training, but also developed her interpersonal skills by working with an international clientele. Two and half years later, she returned to Portugal where she worked in a Physiotherapy clinic as part of the Rehabilitation team, providing physiotherapy services to patients with conditions ranging from acute and chronic musculoskeletal conditions, to neurological and respiratory dysfunctions in children, adults and elderly. In her time in Portugal, she took continuing education courses to help her better care for her patients such as, International Kinesio Taping (KT1 & 2), Clinical Pilates Matwork M1 (APPI), Respiratory Physiotherapy guided by Pulmonary Auscultation with Guy Postiaux and several Soft Tissue Release Techniques courses. Her thirst for learning brought her to McGill University in Montreal, where she obtained her Physiotherapy Equivalency Certificate and she is a member of the OPPQ – Ordre Professionnel de la Physiothérapie du Québec. Olga is looking forward to continue to develop her skills through continuing education courses. She is a very hands-on Physiotherapist with a passion for helping people, she will be by your side and guide you in the process of recovering from injury and achieving your goals. 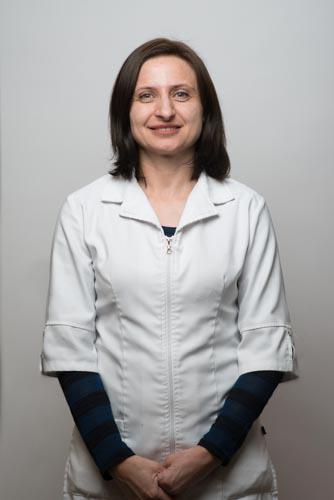 Behtash has been working as a physiotherapist since 2005. He has completed extensive study and work in sport injury and musculoskeletal disorders. 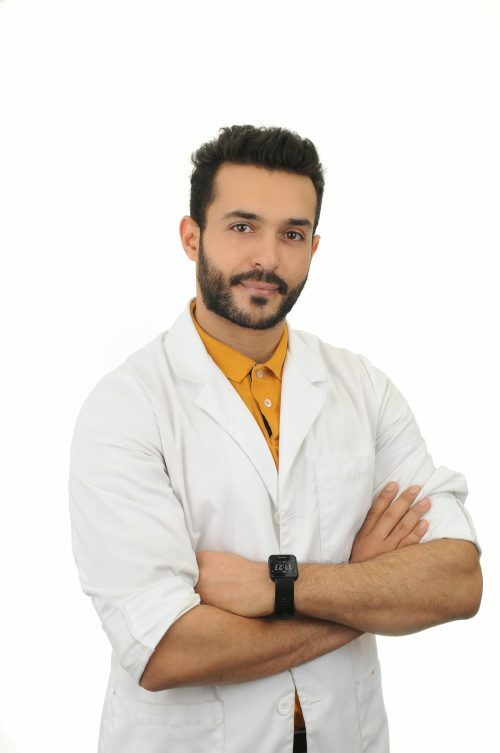 He has been specifically working as the physiotherapist of soccer clubs for several years and has extensive experience in the management and treatment of sports-related injuries. 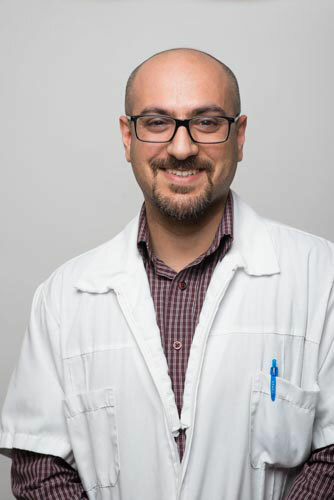 Holding a Master of Science degree from McGill University, Behtash has participated in numerous continuing education courses and has obtained certificates for different therapeutic techniques such as manual therapy. Behtash is ready for next stage in a successful career and looking forward to making a significant contribution for providing physiotherapy and treatment for patients. Looking for the team members of another speciality?